As dance teachers, we care deeply about the safety and wellbeing of our students, so we welcome Safe in Dance International’s Healthy Dance Practice Certificate. This valuable Certificate enables us to ensure our practice is in line with the most recent findings in dance medicine and science. Safe in Dance International was founded by Maggie Morris, Sonia Rafferty and Matthew Tomkinson with the support and advice of its international advisory groups. Though the advisory groups are not directly involved in the day to day running of the business they are an integral part of our business. The lead academic partners at SIDI have over 60 years of professional dance experience behind them as dancers, choreographers, artistic directors and teachers – they are first and foremost dance artists rather than dance scientists. They know that what they do works, because they have experienced it’s efficacy, personally, within their companies and for their dancers. Maggie Morris began her career as a professional dancer in New York touring internationally with the Murray Louis Dance Company for eight years. Maggie also performed in musical theatre, film and television. In 1991 Maggie took up the position of Artistic Director at Phoenix Dance Company, UK. After leaving Phoenix Maggie became a freelance director, teacher and choreographer. She has choreographed, performed and directed for theatre, film and television internationally. She was the Head of Undergraduate Studies at Laban, London from 1998 to 2000. Over the past 15 years Maggie Morris’ focus has been as a dance educator. Supporting and developing professional performing arts training in the UK, most specifically dance. In 1999 she became a subject specialist inspector to inspect all Dance and Drama Awards Provider’s in the UK and was appointed Her Majesty’s Inspector to the Office for Standards in Education (Ofsted) in July 2001. 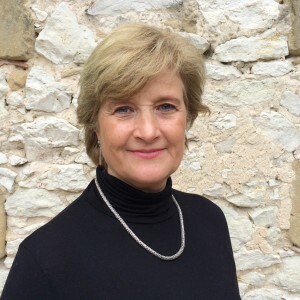 Maggie has delivered Leadership and Management training for the Department for Education and was a member of the team undertaking the review of funded professional training for UK government. She has also worked as a management consultant in the USA designing corporate training for the international communications company AT&T. Maggie’s interest in healthy dance practice stems from her career as a dancer, choreographer, artistic director and dance educator. As Artistic Director of Phoenix she was involved in the first conferences discussing safe dance practice – and in 1992 worked with Jiannis Koutadakis other health professionals to develop programmes and support systems within her company to improve dancers fitness levels, reduce injury ease the pressures of performance. This research on the company contributed to the developments in Dance UK’s Healthier Dance Programme. Since then she has had a continual interest in this area. Maggie is the Chair of the Bonnie Bird Choreography Fund and on the board of the English National Ballet School. She has been a member of the Arts Council Dance panel, the Dance UK executive committee and the Council for Dance Education and Training Accreditation Board. Maggie has written on the performing arts for publications in both the USA and Europe. She has an MA in International Relations and Diplomacy from the School of Oriental and African Studies, London University. Sonia is a dance scientist, teacher, performer and choreographer. 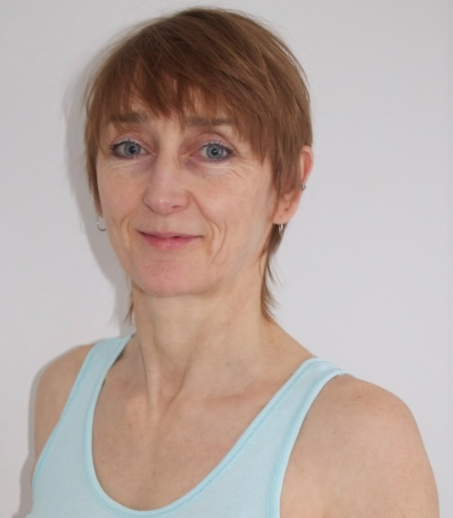 She has been a member of the Dance Faculty at TrinityLaban Conservatoire of Music and Dance since 1990 and is now a Senior Lecturer, teaching dance technique, performance, choreography and dance health and wellbeing. Over the past thirty years, she has worked with several independent choreographers and companies, including touring extensively and recording original music with the electric voice dance company La Bouche in the 1980s. She continues to perform to date, including as a Pandemonium Drummer in the London 2012 Olympic Games Opening Ceremony. Sonia is a regular freelance teacher, providing professional level and company classes in the UK and internationally for a range of agencies and companies such as DV8, Clod Ensemble, Candoco, Shobana Jeyasingh, Protein, Hofesh Schecter, Adventures in Motion Pictures and V-Tol, with whom she also performed. She frequently delivers workshops, CPD training activities and mentoring for other professionals. Sonia completed an MSc in Dance Science in 2004 and has since presented and published her research in Dance Leadership and Dance Fitness. She has been a consultant and examiner in safe dance practice since 2009 and was Senior Assessor for Trinity College London, working on the development of the Certificate in Safe and Effective Dance Practice. As a member of the Education Committee of the International Association for Dance Medicine & Science (IADMS), one of Sonia’s primary interests is to help in the dissemination of dance science research to support the safe practice knowledge of practitioners and educators. Matthew first worked in photography but after two years moved into television, first on the studio floor as a general hand learning lighting and camerawork before leaving to obtain a degree in Electrical and Electronic Engineering. Returning to television Matthew worked as a video tape recording engineer. After helping in the sale of the studio to Capital Radio Matthew was asked to join the management of the studio taking responsibility for business management. In 1992, Matthew was head−hunted to work for the British Broadcasting Corporation (BBC) responsible for selling and marketing their London television studios to internal and external programme makers. Matthew left the BBC after working there for five years. After a few more years of working with other television companies Matthew decided it was time to return to the creativity of photography. Matthew now works both as a professional photographer and partner with Safe in Dance International working on a range of projects contributing his various and in depth knowledge of business, sales and marketing and media.